The Blackfire Clamplight LED Flashlight clamps, pivots and stands. This clamps virtually anywhere and stays out of the way versus stand lights like "tripod mounted" or "snake lights". It features a 1 watt Cree XR-C white LED that has a bulb life of 100,000 hours and puts out up to 100 lumens. The body is molded in high impact ABS plastic with non clip TPR over-molds and stainless steel fittings. It is designed with a strong spring clamp integrated into its body allowing for versatility and portability. 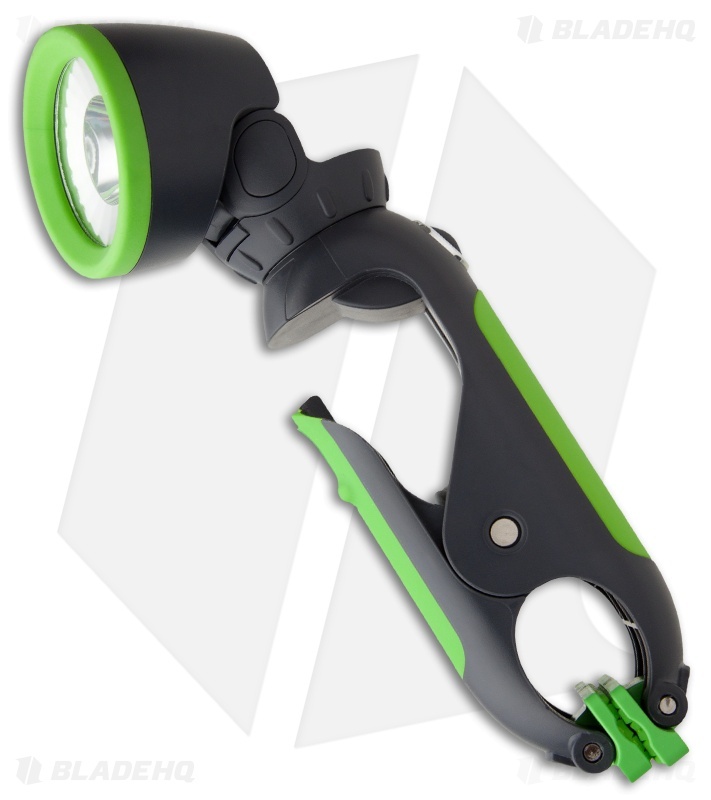 The clamp converts to a stand light by pressing clamp and sliding lock feature, and the non-skid feet swivel down for stability. It features a two axis swivel head that directs light to any position. A perfect utility, hands-free flashlight that can clip on virtually anything, stand on its own , or be held like a regular flashlight! Clamps virtually anywhere and stays out of the way versus stand lights like "tripod mounted" or "snake like lights"